The act of cracking one’s joints is a fairly common occurrence. For many of us, it is an almost involuntary means of relieving stress, working out stiffness, or sometimes just passing the time. But while many of us can produce an audible “pop” from our knuckles, lower back, and occasionally toes, cracking one’s neck is one of those odd habits that while similarly offering relief can also carry an air of risk and danger as well. Whenever you see someone grab their jaw and the back of their head in order to twist out a series of crackly pops, or perhaps see someone whip their head side to side with each sudden movement accentuated with a meaty “crick” there may be this odd mix of bemused admiration and concern for that person’s well being. Air bubbles and cavitation within the joint: where many joints connect, there is a capsule filled with a viscous fluid that primarily helps reduce friction during movement. Gas will also build up in this capsule surrounding the joint. When this capsule is stretched, these small cavities of partial vacuum will release in the form of bubbles. If these vacuums suddenly collapse a sharp sound is produced. Rapid stretching of the ligaments: when your joints move, the surrounding ligaments and tendons move with it. These are fibers that act as connecting tissue between the bones and muscles in the joint. If a tendon slips out of place during movement, it can produce an audible snap upon correcting itself. If a ligament is suddenly tightened during a joint action, it can similarly create a cracking sound. It has also been pointed out that scar tissue within the body can be a form of inter-joint adhesion that will pop if suddenly moved or stretched. Arthritis: it is a widely spread idea that habitually cracking your joints will lead to an enhanced risk of arthritis. There is some debate over the veracity of this idea, but if you happen to have arthritis, then the inflammation of the joint can cause the cartilage to lose its natural smooth texture. When this occurs, the joint will involuntarily produce noise as the surface becomes increasingly rougher. 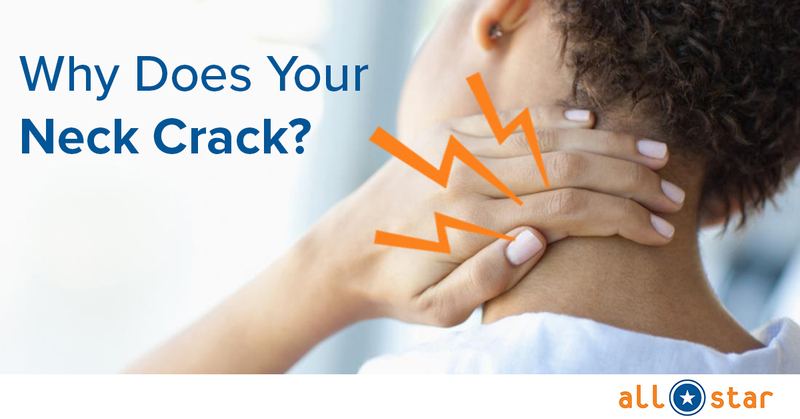 While many will continue to insist on cracking their own neck for personal stress relief, as a rule, if you are experiencing pain or debilitating stiffness in the neck, it is not advisable to try and fix the problem by cracking it back into place yourself. Your neck remains a complex network of blood vessels, bone, and nerves that can become further damaged without a proper appraisal. Seeking the advice and assistance of a doctor or a chiropractic professional will be the surest way to correctly diagnose what may be the problem in your neck, then receiving the necessary treatment to make sure it heals successfully going forward.